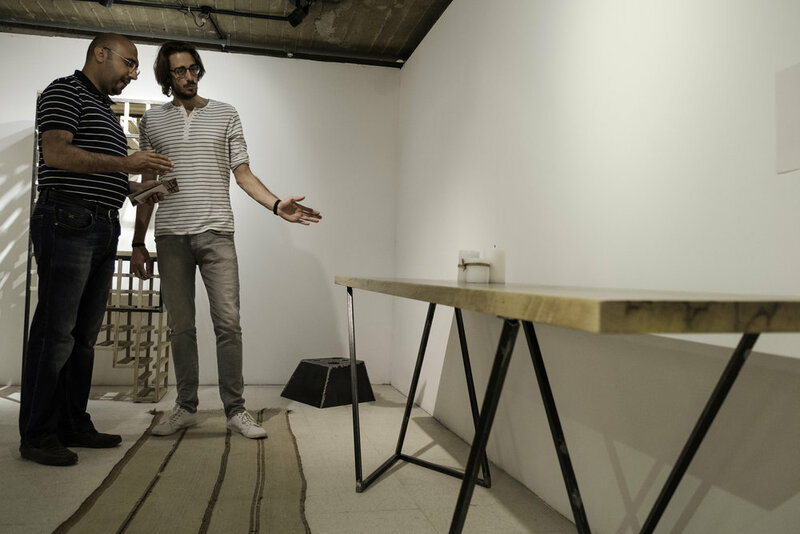 432 Hz, held at the Zara Centre in Amman, Jordan in May 2017, was the launch of Basel's independent furniture line of the same name. 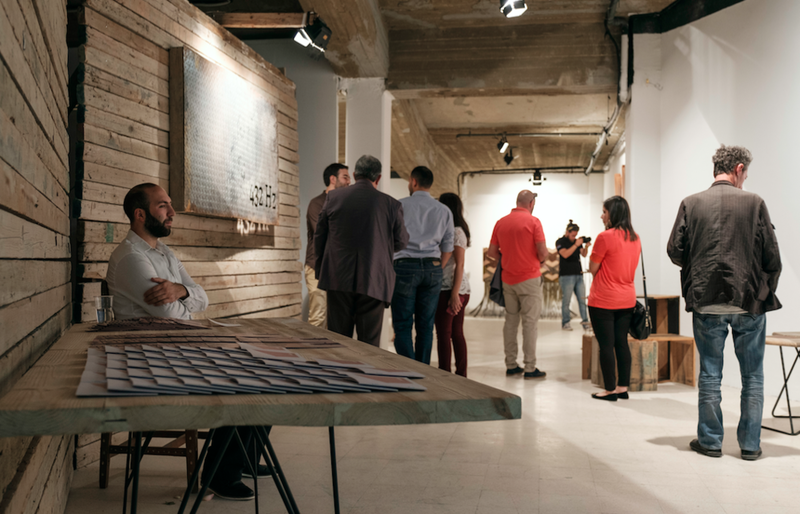 It is an attempt to create a sound exhibition that highlights the process of creation for non-architects and non-designers. 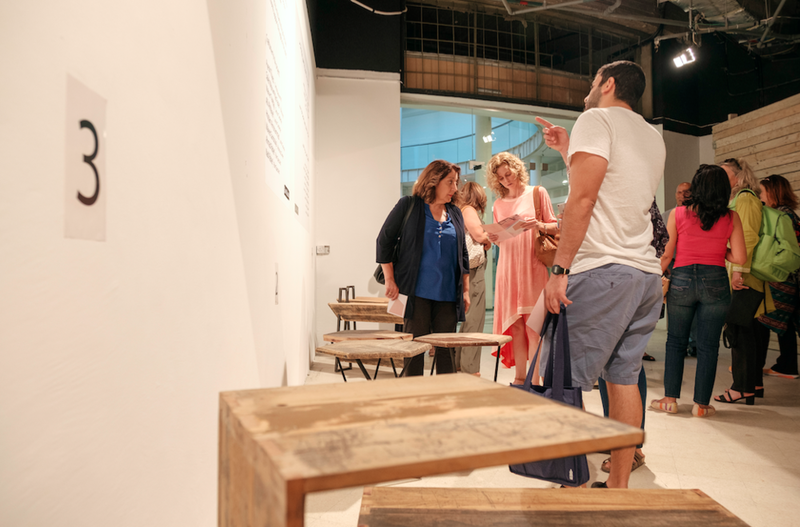 By listening to the sounds produced when steel and wood furniture is being created, the audience is taken on a journey that bridges the gap between the individual and the object. The objects we purchase and use in our homes were carefully put together by people and to acknowledge this elaborate process is to break down the alienation that stands between us and the material world. To highlight the stark contrast between the harsh and industrial yet inevitable process of hammering, welding, and cutting raw materials and the elegant final result, Basel selected 25 of his designs to display alongside an electronic audio piece he composed using the sounds of Jordan’s craft workshops. 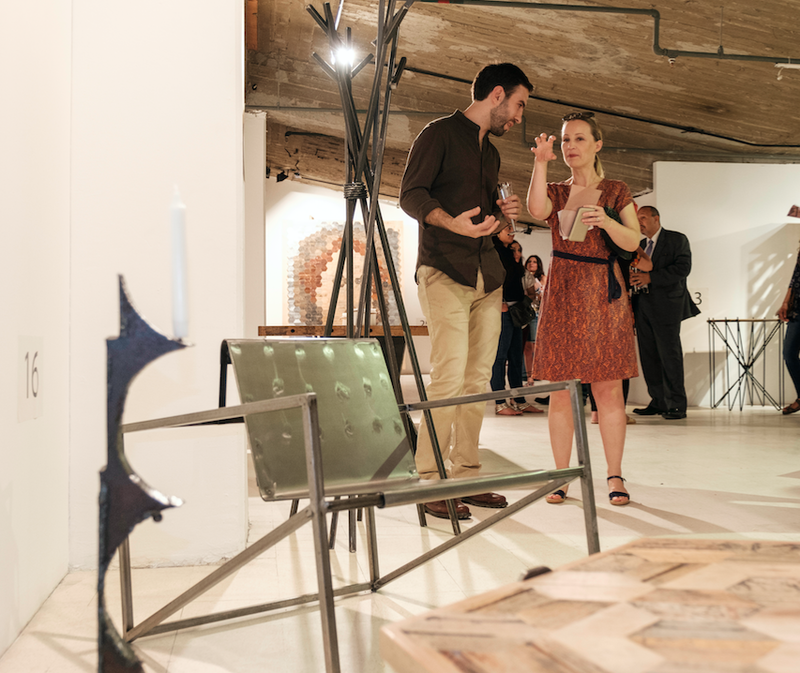 The furniture items featured in this exhibition were designed by Basel and actualised in cooperation with a local Jordanian carpenter and blacksmith. 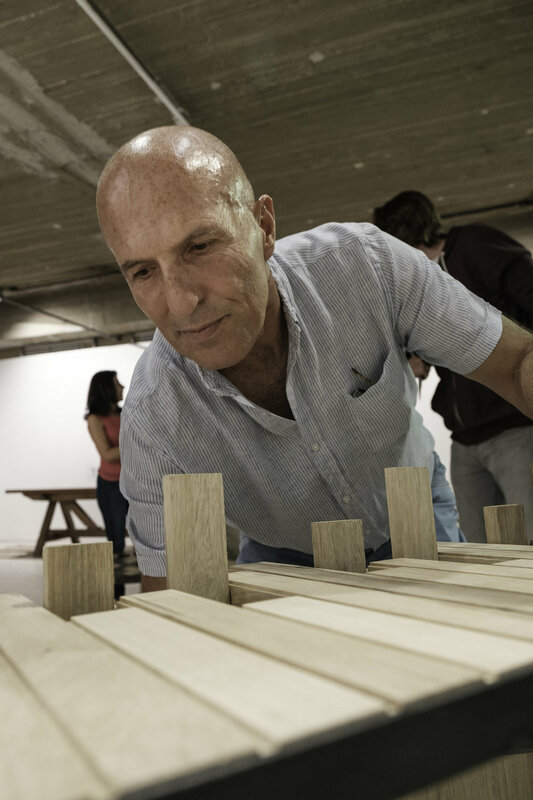 As an architect, musician and furniture designer, I think of creation as an inherently multidisciplinary process. I want my creations to connect people with all of their senses. Whether translating intangible mediums such as sound into space and object or vice versa, I aim to strengthen the bond between people and their surroundings. I am also driven by a responsibility to combat the alienation that I believe defines our generation. 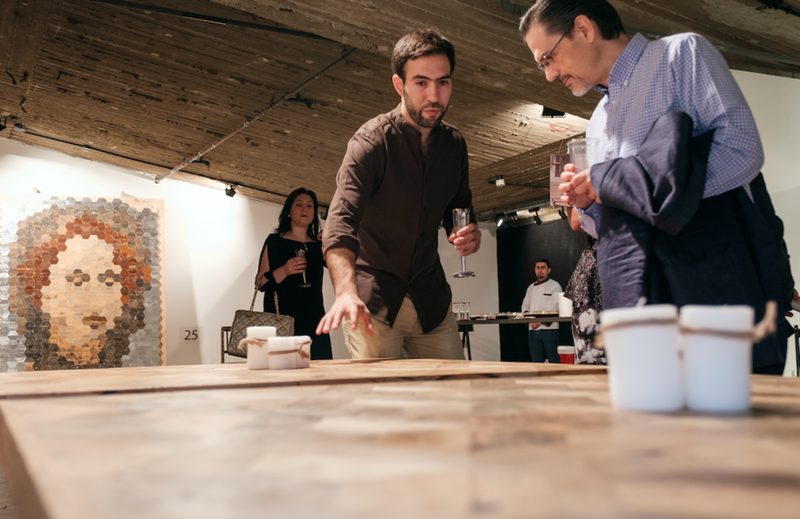 Given the tools I have – my ability to design spaces and objects – my work is an attempt to strengthen the bond between people and the built environment. The raw look of much of my furniture is a modest attempt to humanize objects that we depend on but take for granted. On a personal level, I believe that the most beautiful creations in this world, whether objects or people, are the result of harshness and struggle. The people who have been through the most in life have not only lived the deepest, but I find them to be the most beautiful. Now think of a smooth piece of metal. To get to that state, it had to be beat over a hundred times. I seek to reflect this harshness in both my music as well as my furniture. I strive for music that is not perfect in a technical sense, tuning that is slightly off, a vocalist that goes somewhere you didn’t expect for a split second. This is what gives music, art, and life its flavor, and it is what I hope to highlight with 432 Hz.